Burial flags and medals are cherished symbols of love. They represent the affection and patriotism of your loved ones. People take great pride in displaying and protecting such mementos. And for these people, we have this simple yet stately Flag case at Flag Connections. This superior quality flag case is designed to be simple and yet send a powerful message. Our Flag and medal display case is made in the USA with genuine cherry wood with black lining on the inside. This design guarantees an impactful result In fact, the entire look of our flag case ensures that maximum attention goes to the medals and flag. Instead of overpowering your cherished trophies, this flag case complements them. Category: Flag and Photo Display Cases. The flag frame will properly display and emphasize the national flag as it deserves. The flag and medal display case will also provide ample attention to each individual medal due to the dignified yet simple black background. The flag frame will be able to elegantly exhibit a flag of size 3’ by 5’. You can also proudly display a burial flag of the size 5×9.5 feet in the flag frame. With our flag and medal display case, your symbols of pride will remain well protected and beautifully displayed, just as they deserve. Patriotic trophies like medals and burial flags deserve to be displayed in our regal and imposing flag case. Don’t take the risk of storing them in a cheap and mediocre flag and medal display case. 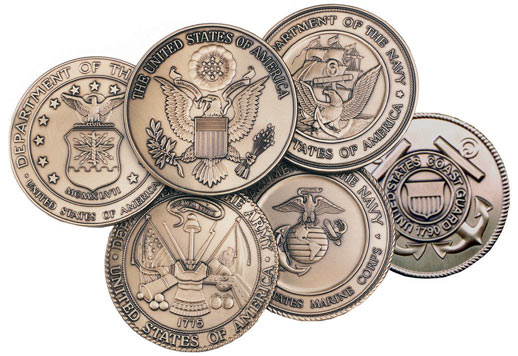 Don’t buy any military gifts from cheap, online imitators. FlagConnections is in the business to serve military families because they serve us! If you are looking for a 3 x 5 flag holder, look no further than this beautiful cherry flag holder. It is exquisitely crafted to the highest standards. FlagConnections has the best prices and best selection, so don’t be disappointed by another retailer. FlagConnections is dedicated to offering the best flag display cases, military flag holders, flag and document holders, flag and badge display cases, memorial flag display cases and much, much more! 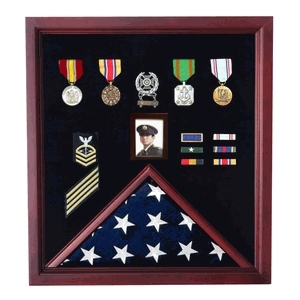 If you’re looking for the perfect military gift idea, this cherry flag and medal display case sells for $279.00. That is $1000.00 off the list price. And for five or more, they sell for only $169.00 each. Buy today! It will hold a folded 3′ x 5′ flag in the flag case and the backboard is perfect for hanging medals and other memorabilia. Orders for the Flag Photo and Badge Display Case are usually shipped out within one business day to places within the USA and Canada.